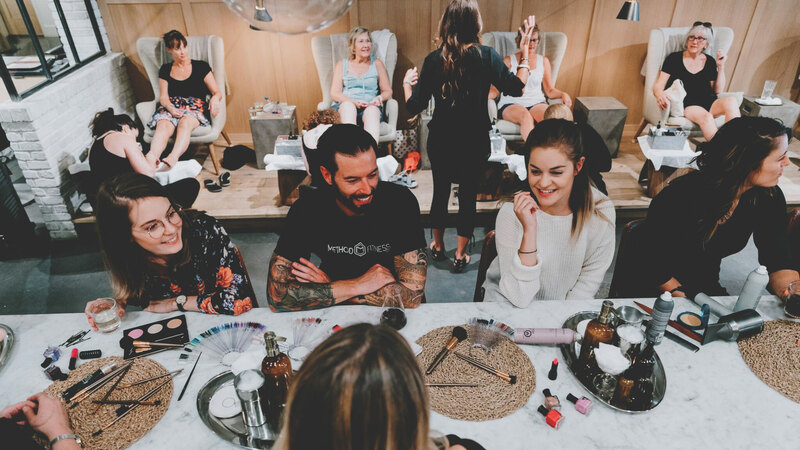 Sit back and relax with a signature cocktail, craft beer or glass of wine while treating yourself to a treatment from this full service beauty bar. Manicures, pedicures, hair styling and more. Full service restaurant and coffee bar. 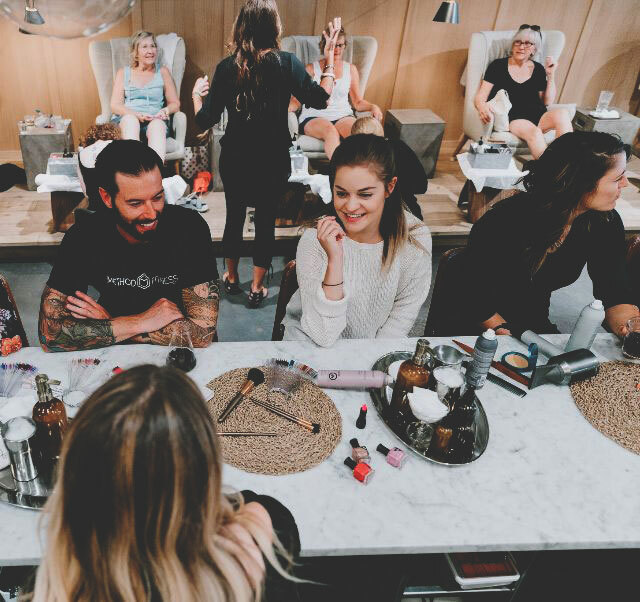 Conveniently situated in the heart of Marda Loop, this bar and social house is a full hair, spa and nail salon with the bonus of tapas, Rosso coffee or wine and cocktails to round out your experience. Gluten free, vegan and vegetarian options are available on request. Great for groups and social gatherings of friends. Facility rentals up to 80 guests. Facials, lashes, brows, waxing and more. And for the men - there is bourbon, beer & nachos.